I used to love those rare occasion when I was heading home from a day of fishing and skirting the edge of a squall line when I saw a small tail begin to descend form the clouds and slowly get bigger and longer until it touch the ocean. Waterspout! Everyone would turn and star in wonder, that is until it seemed like the damned things was chasing us. Waterspouts are routinely seen over South Florida’s coastal waters, especially the warm waters of the Florida Keys. What is a waterspout? Well, it’s actually a tornado that occurs over water, and just like its Midwest terrestrial counterpart, it can come in all kinds of sizes and strengths. In South Florida the winter and spring are relative dry times of the year but come summer and fall when the water is warm and perfect for feeding storms most waterspouts occur, although they can form during any time of the year. They can form when layer of cooler air blows across areas of warmer water blowing it up from beneath. They can also form during periods of relatively fair weather or along the edges of storms and are often called fair weather waterspouts. Just like a tornado, although generally not nearly as powerful, a waterspout is a potentially dangerous force of nature and can cause considerable damage, especially if they move over land as tornadoes. 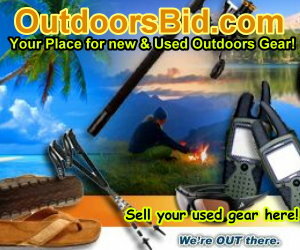 They have the power to flip boats and tear apart docks in addition to blowing debris all over the place. Research that has been done over the years have shown that waterspouts have their own life cycle, that is, there are 5 separate stages to their existence. When we are on our boats and marveling at the small funnel cloud seemingly beginning to descend from the cumulous or cumulonimbus clouds, we don’t realize that there have already been 2 stages of the Waterspout that have already taken place but can’t be seen from water level. 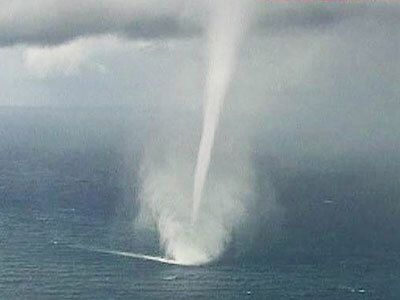 The reason for this that a waterspout actually starts at ocean level and begin a journey upward. Tornadic waterspouts are a bit different as they develop and move down from the cloud level whereas the fair-weather waterspout moves from surface upwards. At the start of the third stage we can see what is termed the “spray ring” which is that area in which the swirling winds draw the surface water upward. This base of a waterspout is very dangerous and can produce gale force winds or in many instances hurricane force winds. 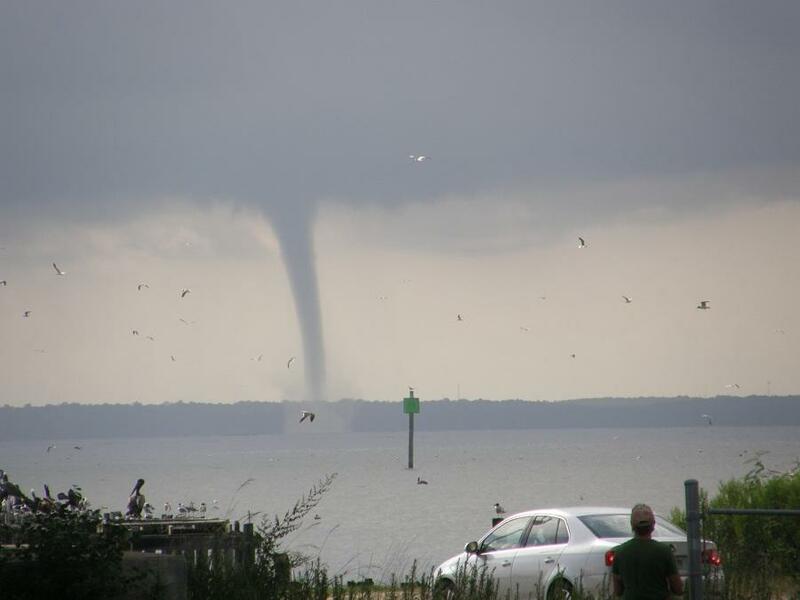 Although looking at these waterspouts often mesmerizes us, the base is exceptionally dangerous to boaters and you need to bid a hasty retreat to a safe area. It’s quite often difficult for weather radar to pick up or detect waterspouts and weather spotters and eyes on the water are often the best way to alert others to their formations. Of the five stages in the lifecycle of a waterspout the first is a disk shaped light coloration on the water’s surface (one of the reasons the initial stages are not often seen unless by air), then forming a spiral band that rises from a dark spot that encircles the light patch. As it strengthens a noticeable funnel or spray vortex rises from the water’s surface to the cloud above. Waterspouts of this type rapidly develop and dissipate, having life cycles shorter than 20 minutes. It’s important to take proper safety precautions around waterspouts such as listening for warnings by listening to NOAA weather radio. Keep vigilant and watch both the sea and the sky especially in and around areas underneath a squall line or cumulous clouds. If you spot a waterspout do not liner to view it up close and head at an angle way from its apparent path quickly and if it’s in your way do not try and go through it. Waterspouts are a great sight to behold, but only if safety is practice first. » Conservation, Our Water » What is a Waterspout?